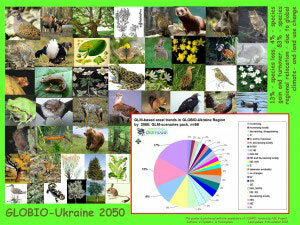 Two EEBIO Projects developed species- and species-climate-change envelopes i.e. ‘species profiles + GLM-scenarious’ – in GIS format (ArcMap 9.1), with separation of some key indexes. First of all – for the ‘land use’ pressure, and which was translated to modeling languages i.e. 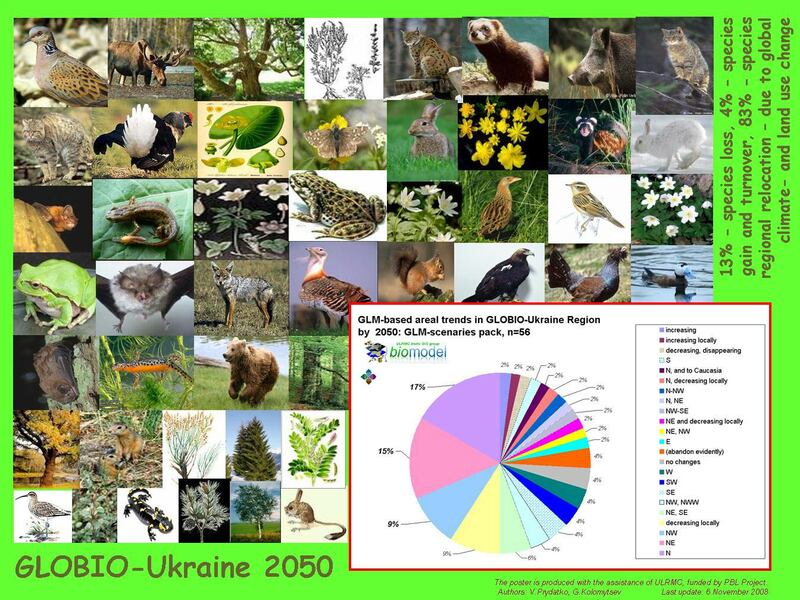 CLUEs, MSA and other – for the most part of GLOBIO Ukraine Region. There were involved 25 species of all groups, and 25 species-climate examples respectively: 50 species altogether. That is pretend to be sufficient for finding linkages between ‘indicator species distribution’ and ‘climate change’ pressures as well as with total MSA-index. 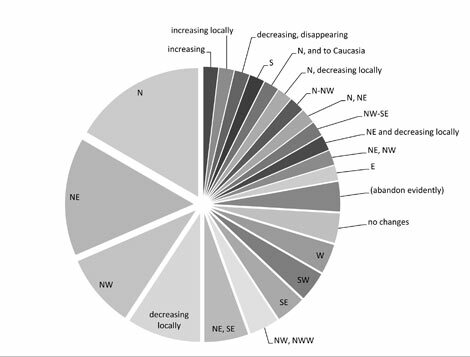 The final ULRMC’s outcome contents 54 species, which were modelled in scope of ‘climate change’ (CC) and/or ‘land use change’ (LUC) – see the ingegrated results below – Table 1. It has been done for the area which was about 5-times more, larger contrary to a planned one. New larger project area is an achievement of the EEBIO-3 experience, available data and technical needs – for better model accuracy (expected project area covers only Ukraine region, but actual modelling coverage provided for almost all of the East Europe). GIS visualization of some species distribution models are available on ‘Species Profiles’ web section. Copyright © 2007-2013 BioModel. All rights reserved.